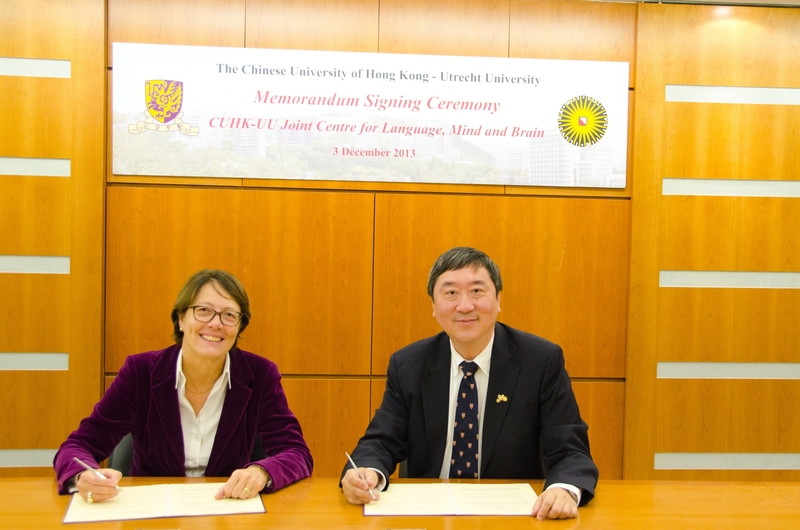 In celebration of the launching of The Chinese University of Hong Kong (CUHK) – Utrecht University (UU) Joint Centre for Language, Mind and Brain, an Opening Ceremony and inaugural Symposium on the Neurogenetics of Language and Cognition will be held at The Chinese University of Hong Kong. 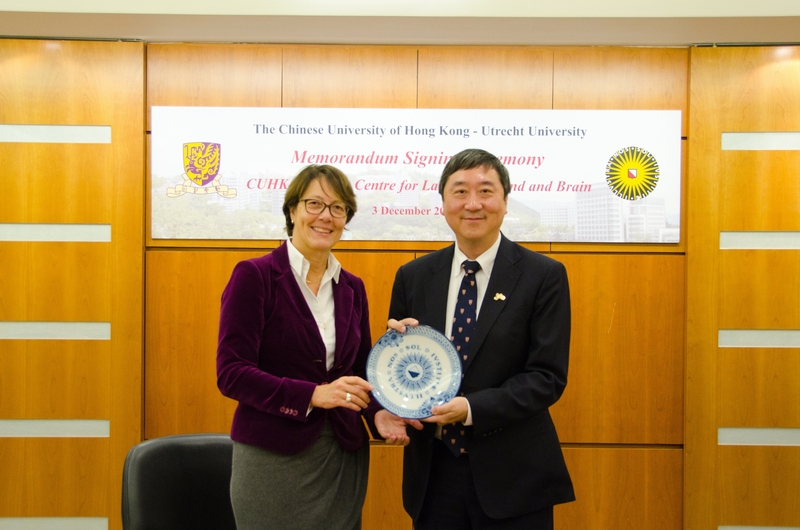 Recent advances in genetics such as Whole Genome Exome Sequencing and in human neuroscience such as high-imaging functional MRI have allowed for an unprecedented look into the human mind and language functions from the molecule to behavior. 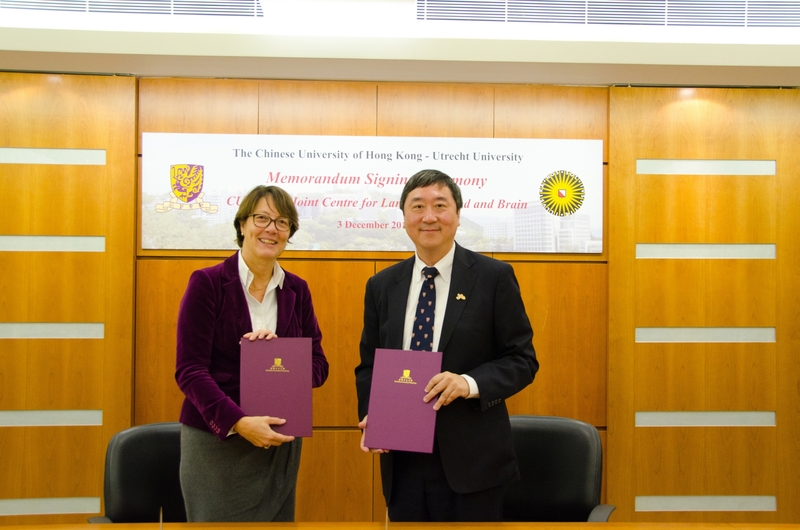 The Symposium will feature keynote speakers from both UU and CUHK for exchanging state-of-the-art research on language, cognition, brain and genes from an interdisciplinary and translational perspective. 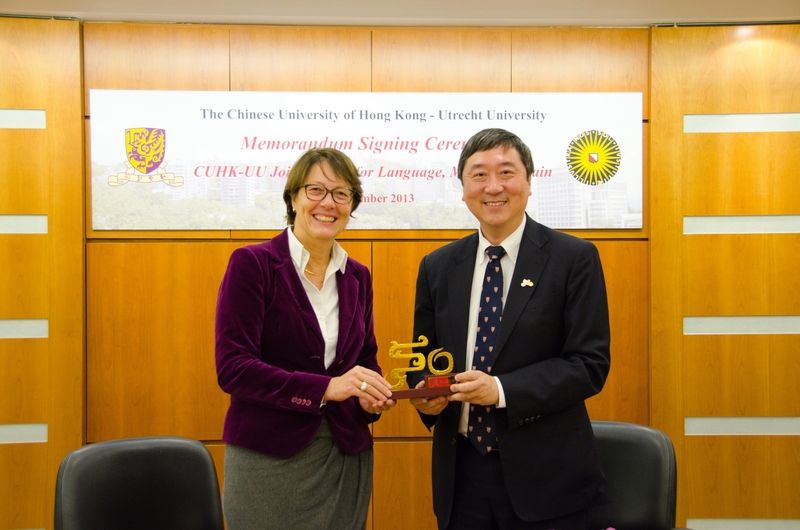 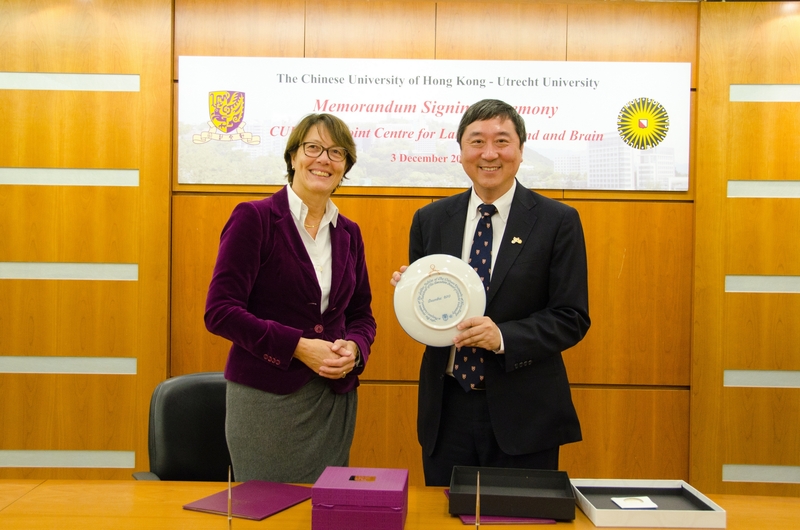 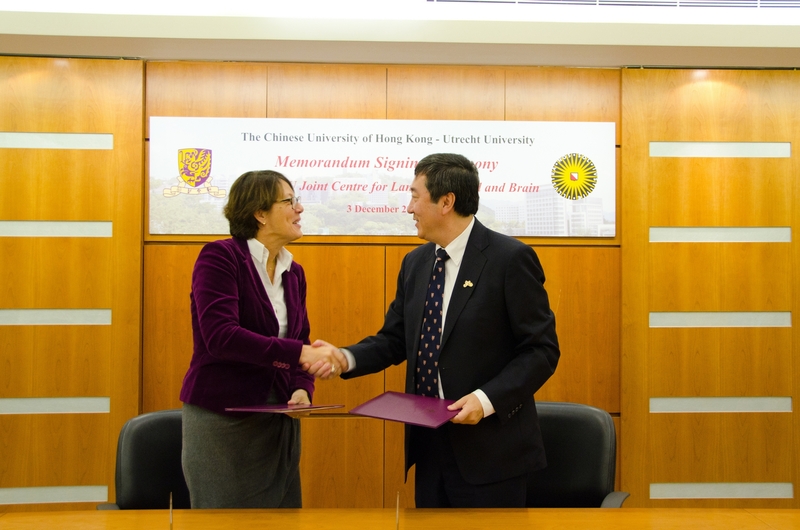 Professor Joseph Sung, Vice Chancellor of CUHK and Professor Marjan Oudeman, President of Utrecht University signed the Memorandum of Understanding (MOU) for the establishment of “The Chinese University of Hong Kong-Utrecht University Joint Centre for Language, Mind, and Brain” on 3 December 2013. 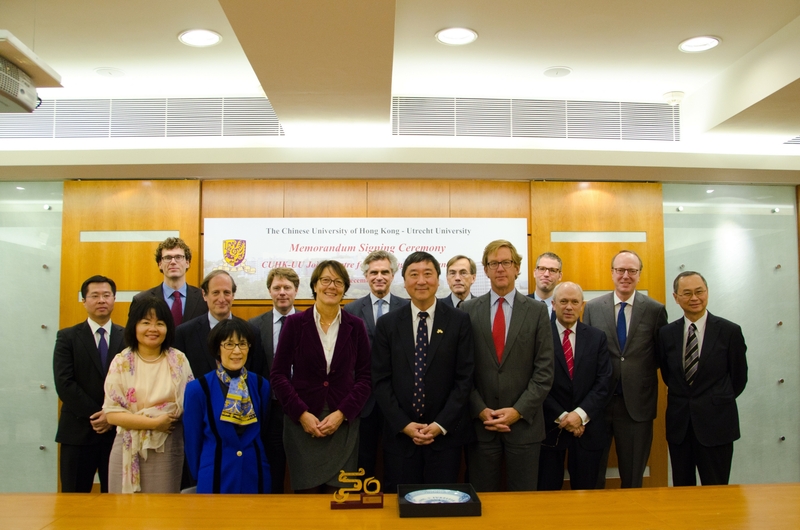 Mr. Wilfred Mohr, Consul General of the Kingdom of the Netherlands in Hong Kong and Macau and a 9-member delegation from Utrecht University attended the MOU signing ceremony.